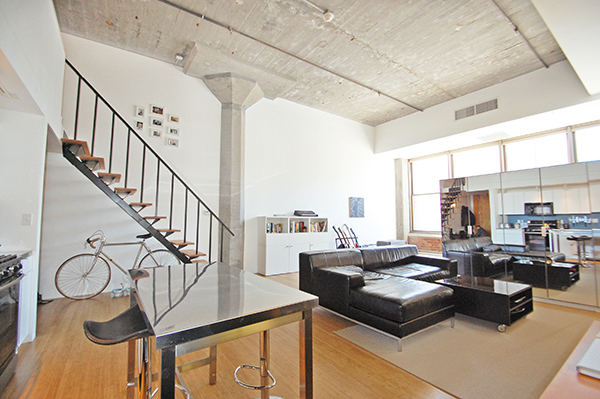 This Unique & Bright Factory Style Loft with soaring-ceiling height at one of Boston's premier loft buildings boasts huge windows, bamboo floors, exposed historic factory features (concrete columns & ceilings, exposed brick, ductwork), stainless steel appointed kitchen, mix of track / pendant / wall lighting, lofted bedroom, "floating" wood staircase, smart storage, clean & crisp bathroom with washer / dryer included. All within a professionally managed, meticulously maintained building with an enormous common roofdeck (w/city views! 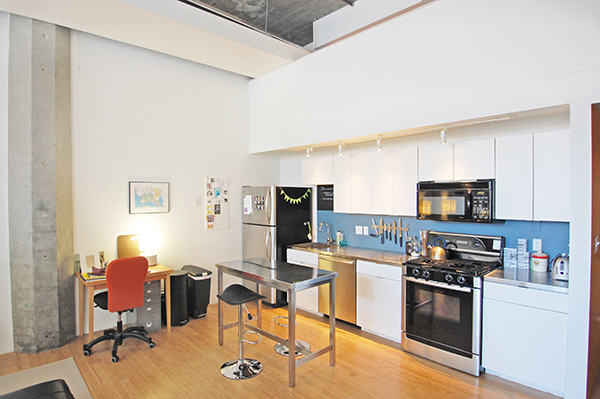 ), rooftop clubroom, adjacent to a brand new park, steps to the T. Deeded Parking included!